This rather unique and (as it turned out) hugely enjoyable project took Vanishing Point into the world of craft beer. 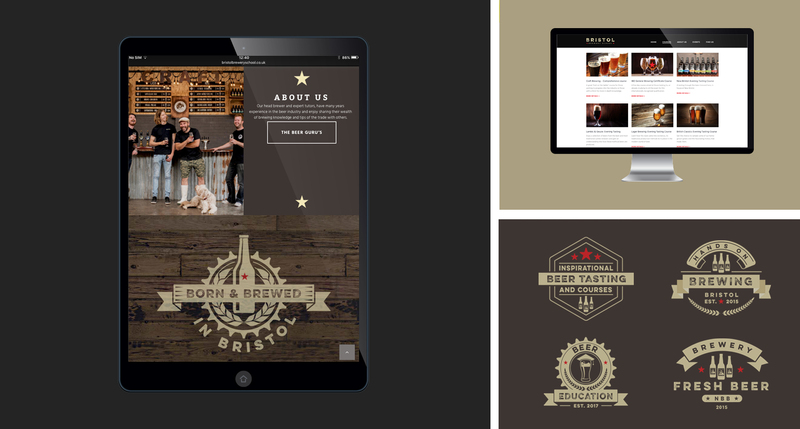 New Bristol Brewery tasked us with carrying out a full branding exercise for their soon to open brewery school, the accompanying website and the course booking management (run through Eventbrite). One unsuspected turn, from the continued management of the website was the production of marketing materials for the New Bristol Brewery. The most enjoyable part of which was the opportunity to design new beer bottle labels and pump clips all of which feature Alfred, Bristol's famous Gorilla.